If you are just starting out as a blogger or influencer, you have probably read tons of advice about how you should first build your audience and following and only then start monetizing your blog. That is the conventional order: first a following and then income! Even if you have a great-looking website and great content, it means nothing until you have the traffic. Which means there is no point in trying to monetize or join affiliate networks until you figure out how to bring in traffic. In general, that is correct, BUT… you can read about the pros and cons of When is the Right Time to Start using Affiliate Marketing to Monetize Your Content to help you decide for yourself. Bottom line, there are more advantages than disadvantages, especially if you're doing it right. 1. Join affiliate programs for beginners – there are quite a few who don’t have many requirements, such as traffic statistics or minimum conversion. Here is a list of Affiliate Networks to consider. For these types of affiliate programs start adding affiliate links from the beginning. 2. Adding these links using VENNDY’s Link Collector extension will allow you to build your database of shoppable items all in one place, creating a passive income stream regardless of your new blog posts or blog traffic. 3. 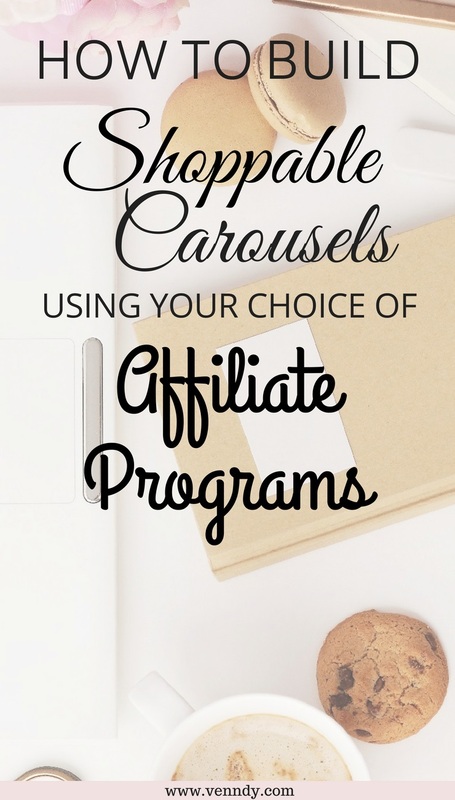 Using the items uploaded to VENNDY you can then easily build shoppable carousels for your blog posts using a variety of affiliate marketing programs (from within an affiliate network or private) into one carousel. You can also create a great looking resources page. You can easily add an Instagram shop tab such as this one to your blog, or link it to your Instagram bio as HERE. You can promote all your item collections on Pinterest, such as this PIN which is pinning to HERE or HERE. 4. You curate your recommendation once, insert your affiliate link once and then can share it throughout all your channels. And we all know how important it is to promote your content. To learn how to create clickable, shoppable links on Instagram check our blog post HERE, and for using multiple affiliate links on Pinterest, check our blog post HERE. Finding your tribe is a challenge, you’re better off with 1,000 loyal and interested monthly readers who get you than 10,000 monthly unique visitors who don't care about what you have to say. VENDNY can help you find your relevant audience – and this can then be translated into engagement and conversions! Cara from Never Skip Brunch blog shares the items and decor essentials that helped her design her new working space. As you can see for yourself from this story’s picture and the rest of the images shared on her blog, these are all genuine recommendations from her own experience. If her recommendation helps you and you subsequently purchase the items, she will earn a small commission. That’s how marketing through genuine content works, and every one of us can share our daily choices. Katie from Joyful Messes blog has put together great recommendations in her Fitness On The Go For New Moms story. We LOVE her new favorite fitness subscription box, because you get a new outfit and item each month! This item is not linked to any affiliate links nor are some of the other recommendations in her story. That’s what’s great about VENNDY’s carousels – they don’t have to include shoppable items. 1. They can include shoppable items using different affiliate marketing programs (such as eBay, ShareASale or direct affiliations). 2. They can include articles with advice on daily workout programs or tips to keep you motivated which have nothing to do with affiliate marketing. 3. They can include shoppable items related to the subject being discussed, such as the water bottle, nutrition bars, and thos resistance loop exercise bands that you have always wanted but never found the time to investigate. 4. They can include your own earlier blog posts. 5. They can include items uploaded by other users with their own genuine reviews. 6. They categorize everything into a marketplace of reviews that can be easily found by potential customers, who will then find your blog through your practical, valuable, easy-to-find recommendations. Ophelia from Sincerely Ophelia blog, shares a trend alert of the scallop hem: flats, bags, rompers, dresses and more. In her blog post she showcase a one piece play-suit or "romper", and in her Open VENNDY Story and related blog post carousel, she links similar items and invite her readers to add their favorite finds to the story and the carousel. 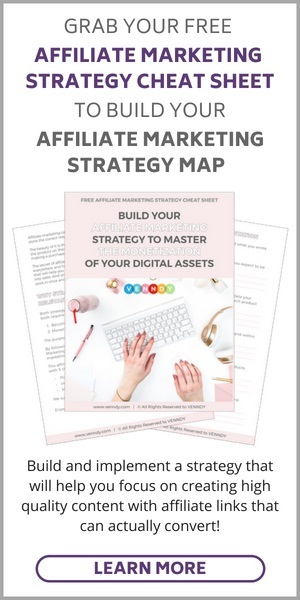 If you are a small business owner of fashion or digital products – or in fact anything else –you will know that you don’t always have the option of being included in an affiliate network program, and even if you do, it is so difficult to get noticed. We are delighted to be part of Cara’s launch of a new line of clothes and accessories. 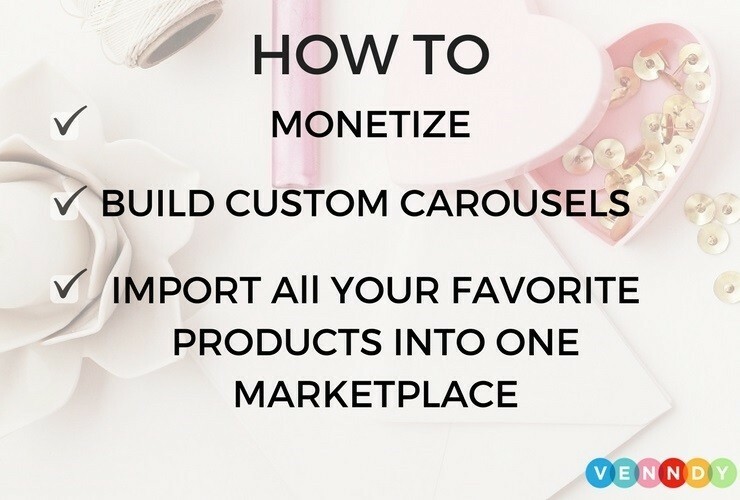 With VENNDY’s carousel Cara can both share her products and ask her new satisfied customers to review them and help her reach new audiences. No entry level. We believe in letting market forces create the impact. Let your happy customers spread the word. If you are planning a pampering beach vacation, you know that there are many aspects to think about: location, places to visit, restaurants, what to do, what to take with, and so on. Emily grouped together all her favorites places and items for anyone looking for inspiration. She even suggested articles to read while you’re there! Planning my Pampering Vacation - Where? What to take? What to read? How to relax? Summer from Coffee with Summer has recently started using her blog to offer blog & social media consultations. She is passionate about sharing her knowledge with new bloggers to equip them with relevant and practical tools to help them become successful influencers. In this VENNDY story she has gathered all her blog and social media tips. We wish we could have inserted a carousel here with all these goodies, but only the curator and collaborators of a story can use a carousel of the items curated within a given story. If you are asking yourself whether recommending products with affiliate links can work while keeping your connections with readers authentic and genuine, then the answer is YES! And why? Because as long as you bring value and real and honest opinions to others, they will not consider it a sale. There is a big difference between making money online and "selling” products using affiliate links. If you upload just any product with no personal recommendations, you will probably have a hard time selling on your blog. Readers understand that bloggers get many of the products they review for free or get paid to write reviews. Adding a disclaimer about sponsored posts doesn’t help either. Make it personal, get familiar, make the connection, tell a story, and combine the items, places, services, and advice that helped you.